I own a 1987 Suzuki Alto (796cc) and am looking for information about improving this car - kits for the engine, wheels, etc. I've bought the High Performance Electronic Projects for Cars book (Book Review - Performance Electronics for Cars) and I’ve been thinking that it could be quite advantageous to design some software and a circuit to emulate the hand controller LCD and keyboard from a PC. I imagine the best way to do this would be to connect the module via a micro (which emulated the LCD) via a max232 to have the ability to program the modules presented in the book from a laptop. I am about to build a DFA and a boost controller so that I can remove the MoTeC from my WRX and stick it in my Evo, and it dawned on me that having a few maps in the laptop would be much easier than using the hand controller. It'd only be a case of emulating the Hitachi LCD, screen-scraping what's written on there from the emulation, and storing it in a sensible table and perhaps a graph - and conversely sending updates (or entire uploads) via the 'keyboard' to do the reverse. I'm quite comfortable to develop it myself, but if you guys have already thought of this and you'll be releasing a PC-based way to control the units, I might be wasting my time? If not and I’m truly being innovative (imagine that! ), it might be good to get a .hex image of the other units from you so that I can at least build the screen scrapers for the modules I don’t have. Hope my email is clear and thanks for all your work for us car modifiers so far. Given the simplicity of the maps, we think a hand controller is easier, cheaper, can be left in the car all the time and has little disadvantage over a laptop. I’m interested in the Digital Pulse Adjuster (DPA) that you sell but I am a bit unclear of exactly how you connect it. Do you have to use multiple DPAs for different applications in the engine? For example, if I wanted to control a solenoid for boost as well as an auto trans, would I have to buy two DPAs? Also, I am unclear as to exactly where the DPA unit is located. Do you leave it in cabin with the wires going through the firewall to where the solenoid is or do you just tap into the wires near the computer? And, if this is the best way, how do you determine which wires are the right ones? I’m not much into electronic stuff - I’m hopeless. Any advice would be appreciated. The DPA is intended for individual applications, so you’ll need a pair of DPAs to control boost and auto trans behaviour - but you’ll need only one hand-controller to program both DPAs. Typically, the DPA is mounted inside the cabin near the ECU and electrical connections are made where the wires are most accessible. The neatest approach is to wire the DPA near the ECU – otherwise you’ll need to run wires through the firewall to connect to the vehicle’s under-bonnet loom. And which are the right wires to connect to? We suggest obtaining a wiring diagram for your car and checking the signal of each wire with a multimeter. I’ve got a 1986 Holden VL Commodore with a 4-speed auto and I would like to convert to a 5-speed manual. What would you recommend swapping with - a normal 5-speed Commodore ‘box or Celica 5-speed? Also, can you tell me any places in Western Australia that do conversions and possibly how much it will cost? Dellow Automotive (+618 29774 4419) should be able to provide you with the answers you need. Keep in mind it may be worthwhile trading to another Commodore with a 5-speed already fitted. For Mark in the US regarding the Nissan RB30 with a RB26 head conversion (“Head Case” - Response) A detailed tutorial on conducting such a modification is available on www.skylinesaustralia.com (which should be close to the most popular web car site in Australia with somewhere around 20,000 members). If you try a search you should find what you need. 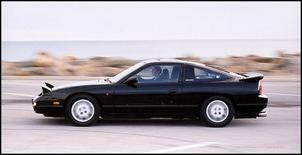 I'm looking at Japanese import vehicles and am relatively new to all this... What are the problems associated with running Japanese performance vehicles, particularly the Nissan 180SX SR20DET, on Australian grade fuel? Will there be much difference with 98 RON being the highest octane available when there’s 100 RON in Japan ? Also, with this sort of vehicle, should any qualified mechanic be able to service and sort out problems or should I go to a mechanic who specialises in 180s and turbos? Finally, spare parts for the 180SX - where would I be able to obtain them? I know they're fairly common but are they easy to get? These questions came about after reading your article Grey Imports - Incredibly Cheap Fun or One Huge Disaster?. The S13 Nissan 180SX is one of the most popular Japanese imports, which means finding parts is not a problem. Visit a Japanese import wrecker and check out the forum at www.nissansilvia.com and you’ll see there are plenty of second-hand parts. Most Nissan dealers also stock brand new service items such as oil filters, cam belts, gaskets, etc. Any mechanic should be able to perform basic servicing but, ideally, the car should be serviced by a Nissan dealership or a reputable high performance workshop. Re fuel octane... 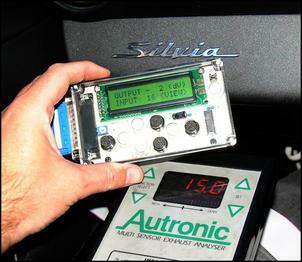 Yes, the Japanese-spec S13 SR20DET ECU is tuned aggressively and there’s a high probability of detonation on local fuel. Using 98 RON fuel will minimise risk but we have seen so many damaged SR turbo engines we’d have to say modified engine management is a VERY good idea – especially if the engine has been fitted with an exhaust, filter, boost controller, etc. An interceptor is the most cost effective approach. Note that since that article was written, the price of grey market imports has fallen considerably. Re my email at Response - “Extrude Search”... After doing a few more hours of research I am now able to answer my own question - www.abrasiveflow.com / enquiries@abrasiveflow.com / phone (02) 9832 1177.